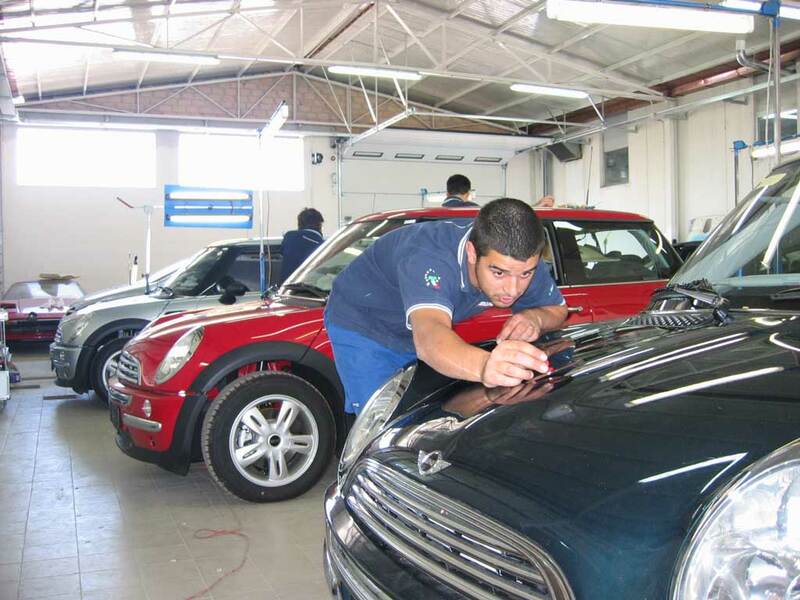 We are an italian PDR company, leader in removing dents or dings from auto body panels without using fillers and repainting: vehicle’s factory paint job is safe! 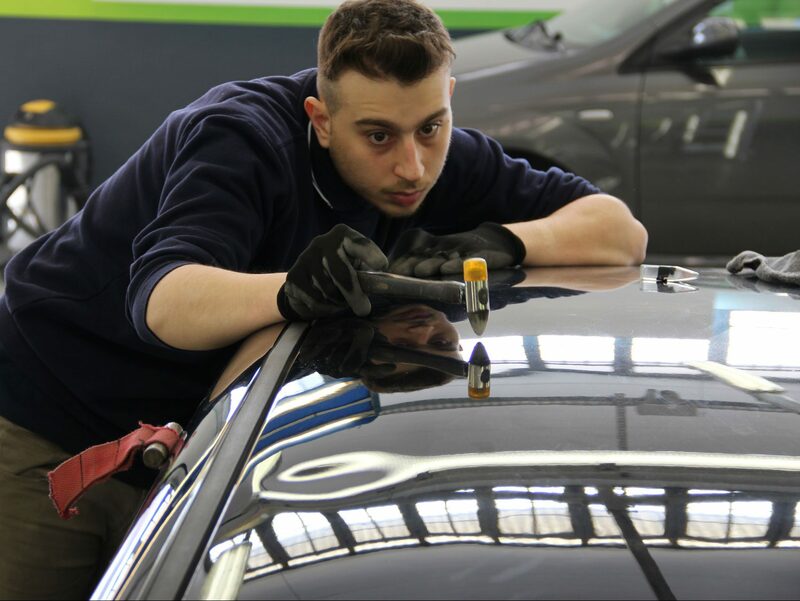 PDR stands for Paintless Dent Repair or Paintless Dent Removal which is an ecological process of repairing dents from the bodywork of a vehicle. We use a very efficient PDR method called Levabolli System® that allows a considerable saving of time and money. By providing high quality repair and fast service, we have become one of the leading hail repair companies in the automotive industry. 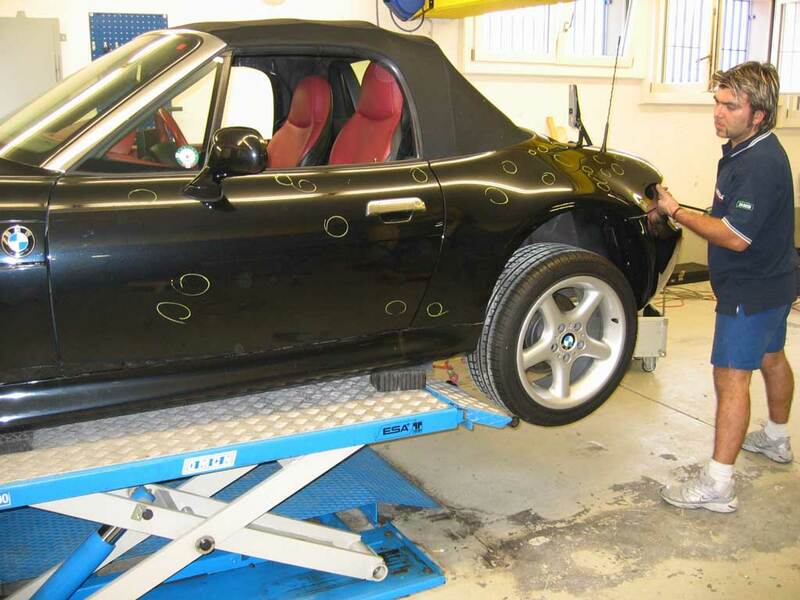 Levabolli System® is the perfect method to repair vehicles with hail damages, minor creases and doors bumps, provided that the paint surface remained intact. No use of fillers, no repainting: we obtain great results also on aluminum panels. Using metal rods and levers, special tools and glues, our technicians fix every brand and model of car on the market. The improvement of the Levabolli System® methodology is one of our daily goals: the continuous technological research/development of new repairing strategies helps us keeping our leading position in the automobile repair market. With Levabolli System® dents and dings people get from hail stones, parking lots or other hits will be totally removed. 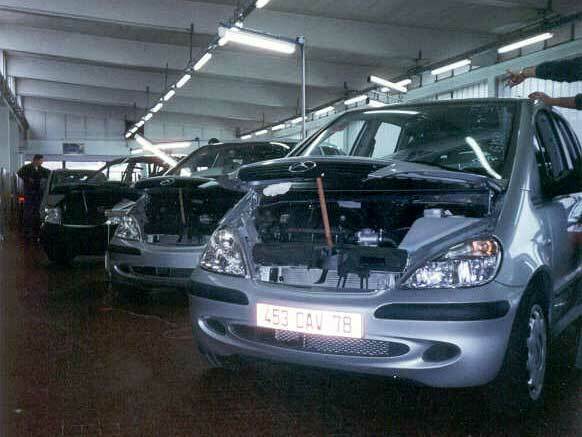 We have a 30-year PDR experience: read our history! 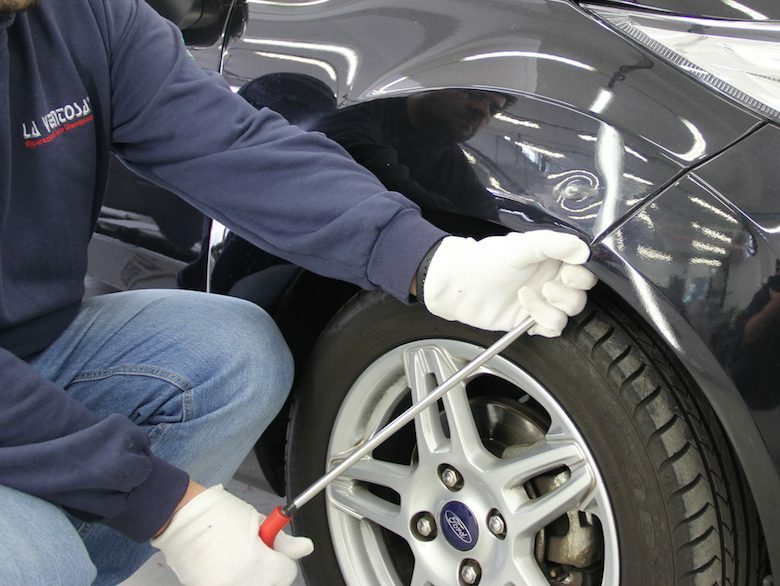 We offer PDR service to dealerships, body shops, rental agencies, leasing companies, manufacturers, car parks, automobile yards, transportation companies and more. Free estimate of the damage in Italy and abroad. We always offer a complete high quality service. At the end of the 60’s, in Italy, the PDR business begins to grow: automobile manufacturers organised professional courses in order to teach the techniques of repairing cars damaged by hailstorms or various types of small dents without the use of fillers and repainting. These courses were attended by the technical staff of the automobile manufacturing companies. 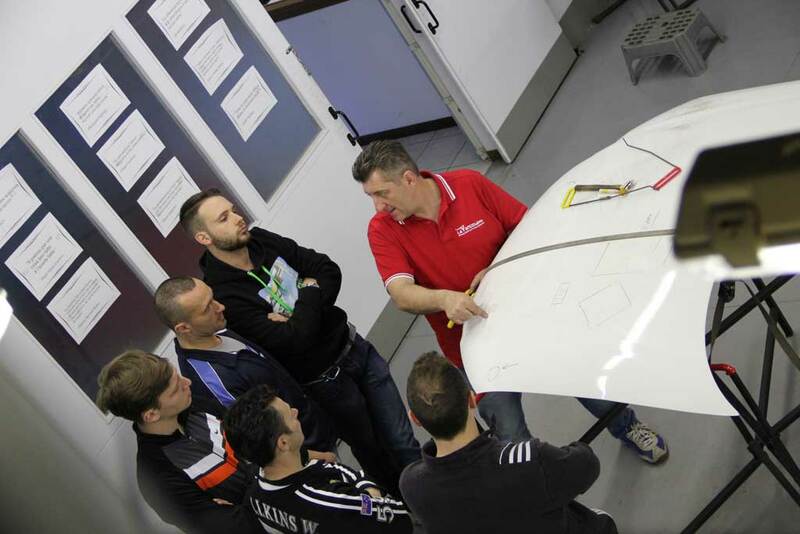 Throughout the years within the automobile manufacturing companies, the more talented expert technicians assume the role of teachers and transmitted their knowledge and experience to the next generation of PDR experts. Some of the best skilled handcraftsmen (PDR technicians are “artists” in their own field), quickly understood the uniqueness of their job and the necessity to hand down their know-how to other generation also outside the company they worked in, and expecially within their own families. 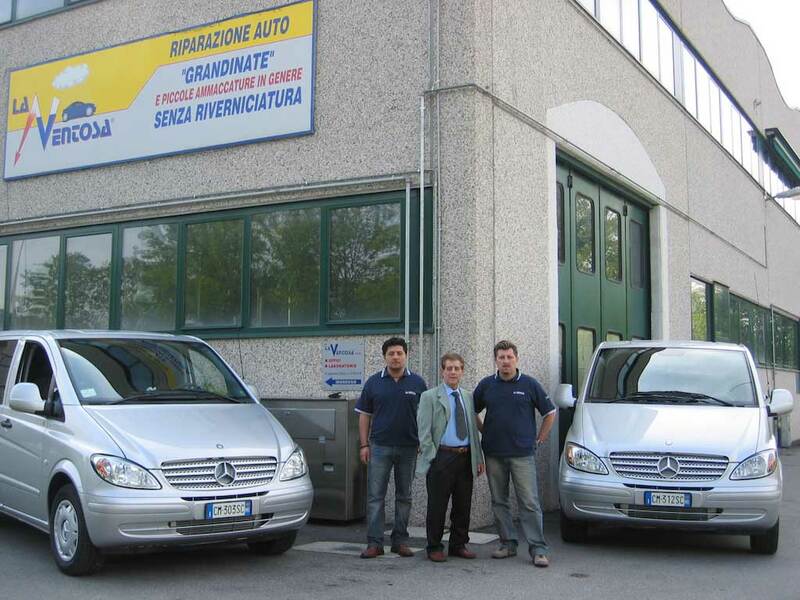 The Murro Family has therefore founded "La Ventosa", an Italian company leader in the PDR business. Based on the father Vito’s thirty-year experience in the PDR job, the sons Roberto and Luca manage the company which has been growing very rapidly during the years, expanding its business all over Europe. We organize full immersion 3-day PDR Trainings. 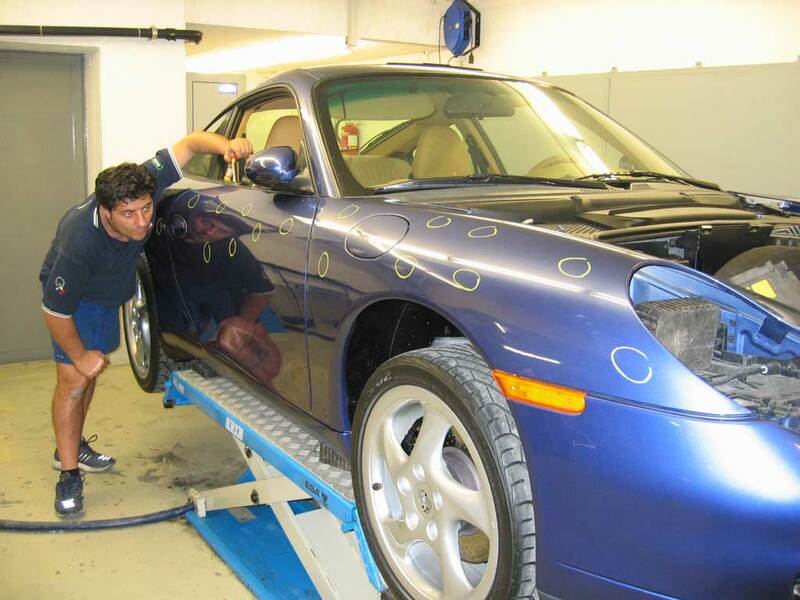 A 30-year experienced PDR technician will teach you how to remove dents or dings from auto body panels without using fillers and repainting. You will also learn how to use led lights and glue pulling equipment. At the beginning of the training we will provide you with our student kit (manual, pen, gadget, etc.) and at the end of the training we will give you our Certification, as well as the opportunity to purchase our professional PDR toolsets and accessories specifically designed for our trainees.